Most people make the assumption that breads labeled “whole wheat” or “whole grain” are healthy. There are a wide variety of breads that are whole wheat or whole grain, but ironically, they still contain refined flour ingredients. Breads containing refined flour can actually spike blood sugar levels, leading to unnecessary weight gain, hyperinsulinism and diabetes. Peanut Butter in its organic state is very oily and contains high amounts of monounsaturated fats. However, the most common forms of peanut butter that people buy are processed and contain high amounts of sugar. 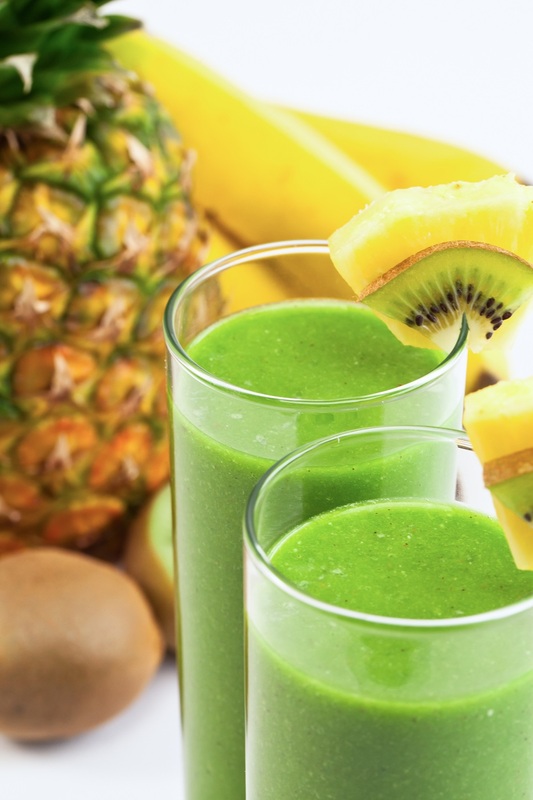 Smoothies tend to be a very popular drink for those who are avid gym-goers. However, what most people don’t know is that most smoothie shops or restaurants that make smoothies use purees and mixes that contain high amounts of sugar. Even when smoothie shops use “fresh fruit,” these frozen fruits usually sit in a base that contains high amounts of sugar and artificial preservatives. If you want fruit, eat fruit. Don’t buy the smoothie version. Soy is seen as a popular staple for many of those looking to abstain from eating animal sources. Soy beans can be used to make things like milk, protein powder, tofu, vegetarian meat, etc. However, men should be concerned about consuming soy. Products that contain soy-based ingredients contain phytoestrogens that can potentially interfere with natural testosterone production, creating problems such as infertility, gynecomastia and stubborn fat gain. Limit your soy intake and opt to eat more cruciferous vegetables, such as broccoli, cauliflower and asparagus, to reduce the effects of phytoestrogens. Although some deli meats can come in lean varieties, most contain high amounts of sodium, artificial preservatives and other chemicals that can affect long-term health. The high level of sodium in processed meats can cause a wide variety of cardiovascular issues, such as high blood pressure, stroke and heart attacks. Whether it’s ham, turkey, salami or roast beef, deli meats should be eaten sparingly, and consumers should opt to eat more whole, natural organic sources of meat. Protein bars are often seen as a good snack or meal substitute. However, protein bars can contain high amounts of sugar, artificial sweeteners, soy byproducts and — worst of all — artificial dyes and other chemicals to add flavor and color. Protein bars are good for post-workout nutrition, but horrible meal replacements that could potentially lead to unnecessary weight gain. Diet sodas are often marketed as a healthier alternative to carbonated beverages that contain high amounts of sugar. However, diet sodas contain high amounts of citric and phosphoric acid that can damage tooth enamel and lead to long-term dental problems. Constant consumption of acidic drinks like diet soda are also bad for the intestinal system, causing problems such as acid reflux and indigestion. Diet sodas also contain high amounts of artificial sweeteners, dyes and other chemicals that have been linked to cancer. White potatoes are a common staple in most American dinner dishes. And served and eaten properly, they can be a solid food choice. However, when you’re eating those potatoes in the form of chips or french fries — or if you prepare a baked potato by drowning it in butter and sour cream — you neutralize any benefit of the food and just take in junk. Eating healthy is sometimes tougher than it should be, but it doesn’t have to be a challenge. Just do your research before you shop and understand where your food comes from before consumption. Ultimately, the best foods will be those that are whole and natural, such as organic meats, vegetables, fruits, whole grains, nuts and seeds.